Port Vale are one of the minority of clubs that are not named after a place, and instead are named after the valley of ports on the Trent and Mersey Canal. The club hold the unenviable record of playing the most seasons (105) in the English Football League without reaching the top flight. 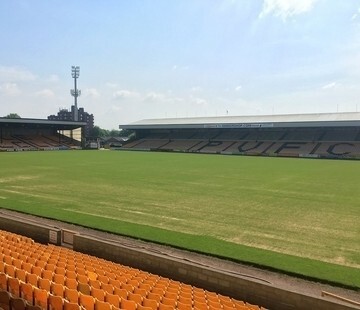 They have played at Vale Park since 1950. With the exception of the Lorne Street Stand, all stands are single tiered with supporting pillars which can obstruct the view if you are in the wrong seat. However, the average attendance is somewhat lower than the capacity so this has rarely proved an issue. The Lorne Street Stand is the newest, although it has yet to be completed. There is parking available on Hamil Road just behind the away fans stand, otherwise it’s street parking. We’ve compiled a list of car parks, below, near to Vale Park for hassle free parking while you’re at the match. Hamil Road “Car Park C” ST6 1AW £4 0.1km Parking is located just off of Hamil Road towards the south-west of the stadium. Follow the “Zone C” signs to locate this car park. However, there are a limited number of spaces so make sure you arrive early. The nearest station to Vale Park is actually Longport, though it isn’t frequently used by away fans as not many trains stop there nowadays. The best option is Stoke-on-Trent railway station, though a bus or taxi (around £12) are the only realistic options as it is over 4 miles away from Vale Park. For high profile games, a football special bus is available at a cost of just £3. However, if this is not available then the number 7/7A/7B/7C run regularly from Stoke-on-Trent Bus Station through to Hanley Bus Station and then to Burslem town centre. When you reach Burslem, get off at Westwood Street and cross the road before turning right into Jenkins Street. This leads into Hamil Road where you will see the stadium approach on the left. There are a number of away friendly pubs near Vale Park, all of which cater to different needs. Please note, however, that some bars require club colours to be covered and some do not allow children. However, rather than take our word for it, we want to give you the view from other away fans who have visited Vale Park. Over the coming months we will be building up fans reviews of the best places to drink on an away trip to Port Vale, and you’ll be able to find them here. Stoke offers a variety of overnight accommodation to suit all budgets. 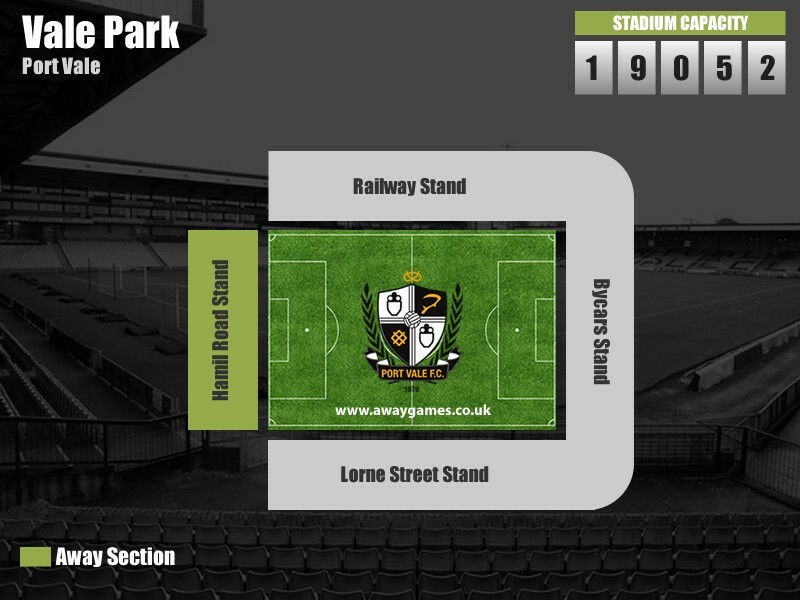 See what other away fans think of Port Vale’s Vale Park in our ‘Away Day Reviews’. See how Port Vale perform in our away day rankings, where away fans rate the pie, pint, cuppa and away day overall.